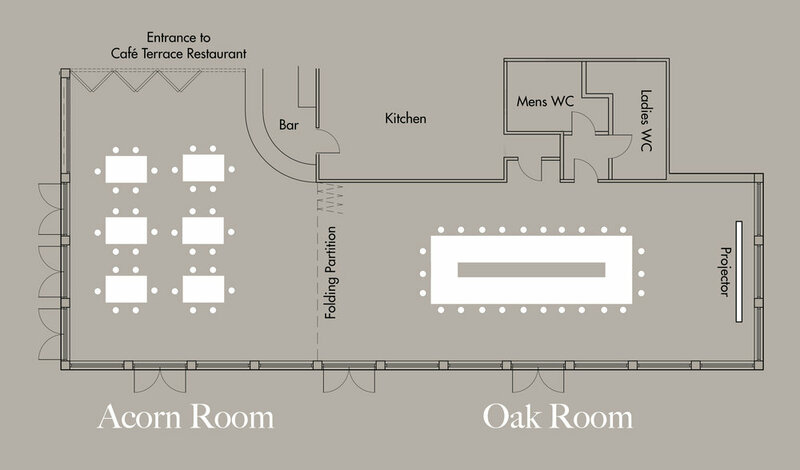 Just a five-minute drive from Ipswich Town Centre, our contemporary Oak and Acorn conference rooms at Fynn Valley Terrace provide a suitable space for conferences, team building days and meetings of any size. 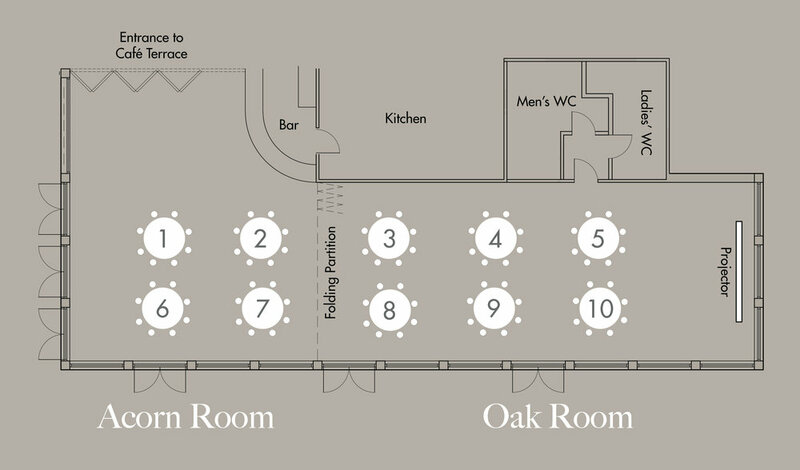 There are many layout options available for both the Oak and Acorn conference rooms some of which are shown below. 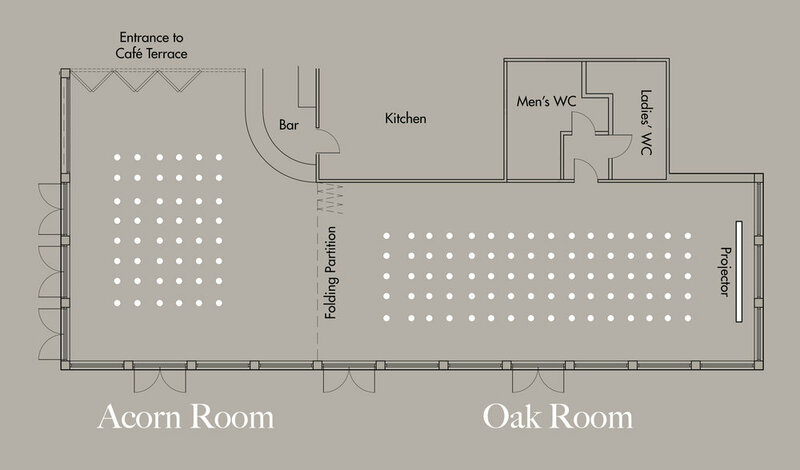 For larger events both rooms can also be combined to accommodate more people.